I went for a look that would match more of my wardrobe. 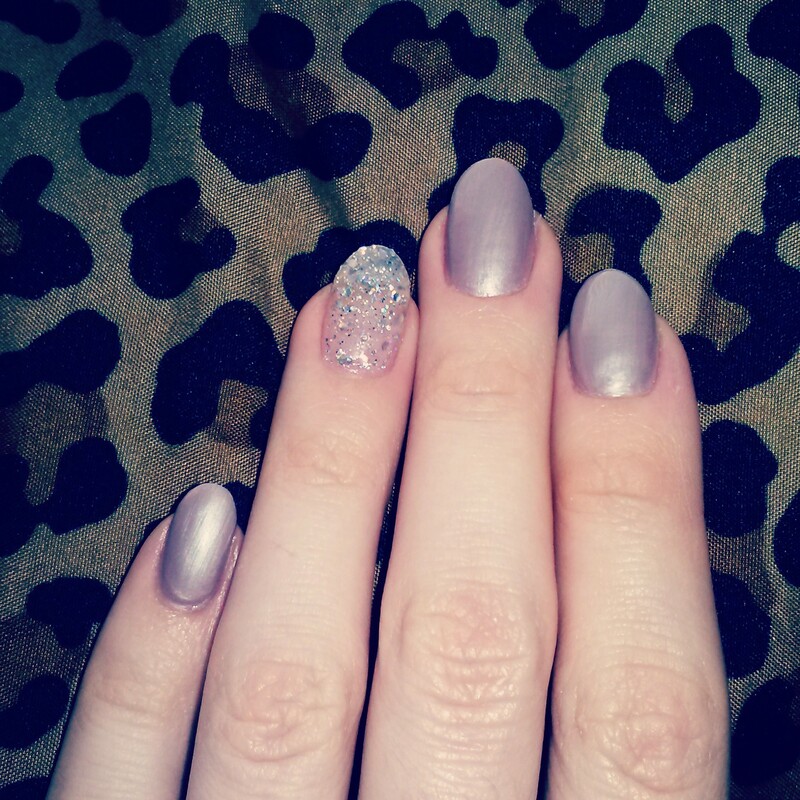 Taupe is one of my favorite colors and sparkles are my favorite thing so there is no doubt that I’m loving my new nails. Everyone seems to be into these really rounded, pointy nails lately so I thought I would give them a try and I’m really glad that I did!